Here are two necklaces I made with my lampwork beads, sterling silver and seed beads. The only beads I didn't make are the seed beads and silver. 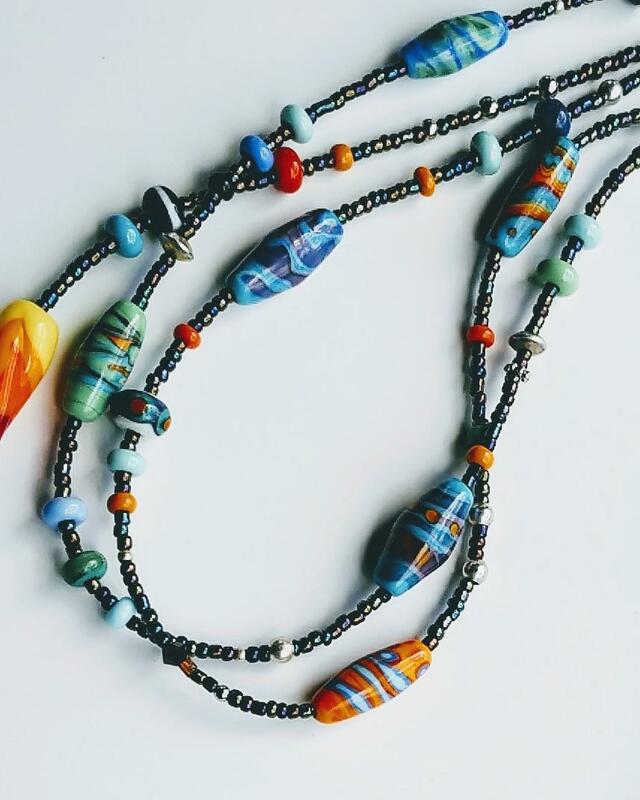 The bead design is inspired from my beginning lampwork class. My students typically just swirl colors together and often their beads have been very good!